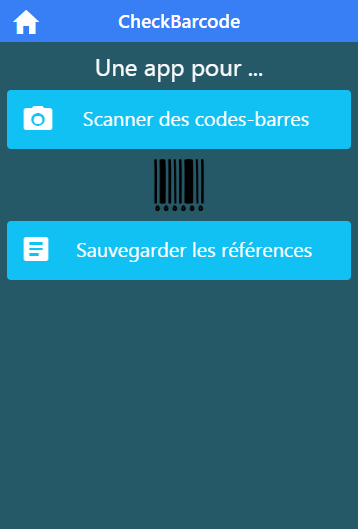 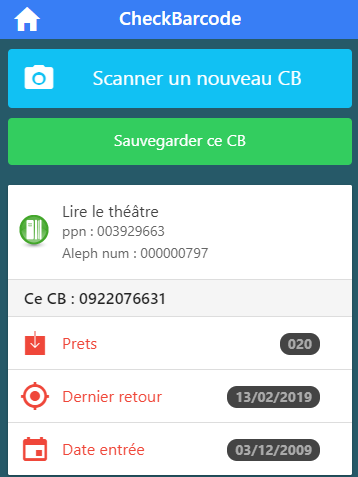 The purpose of this mobile webapp is to allow librarians to quickly and easely obtain informations about items by scanning their barcodes with their smartphones. 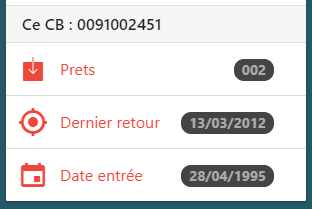 So what is the logic inside ? 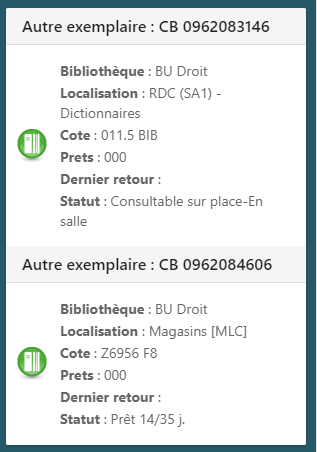 and the others locations provided by using a web service developed by the agency that manages the Sudoc catalogue. 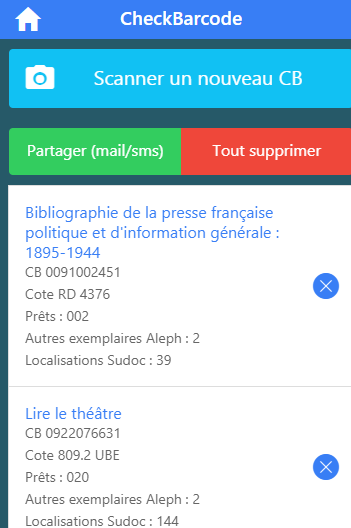 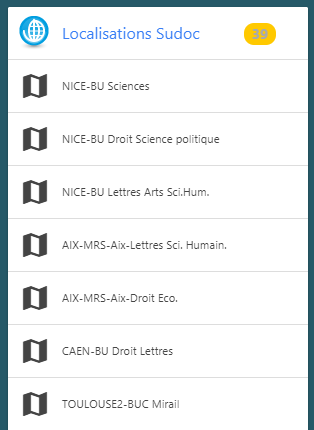 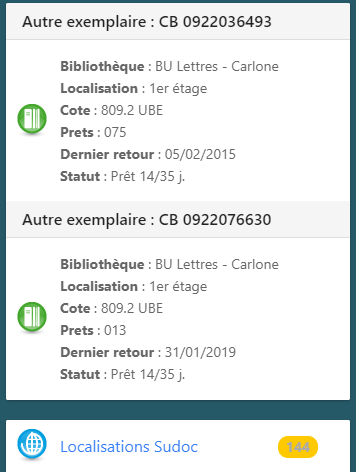 Finally, adding some features like the possibility of archiving scanned references (in the Web local Storage) and sending by mail/sms, we’ve got a useful mobile app, for example to decide hand-delivered in shelving whether to keep a book in the library’s collection.